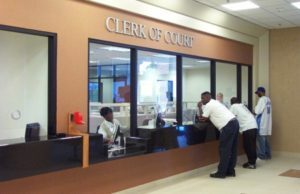 Jefferson Parish Courts have several Traffic Court and Misdemeanor Court Locations. Consequently, these locations are based on where you received the traffic ticket or citation. Also, the Parish of Jefferson has several municipal cities located inside the parish and each city has its own city court. For example, there is 1st Parish Court, 2nd Parish Court, Kenner City Court, Gretna City Court, Harahan Court, River Ridge Court, Westwego Court and Grand Isle. Additionally, the Weiser Law Firm handles cases in all of these locations. ● All incidents that occur on the East Bank of Jefferson Parish. ● For additional information or answers to questions regarding traffic matters, contact Rhonda Saylor, Traffic Department Head at (504) 731-4682. Also, for additional information or answers to questions regarding criminal matters, contact Rusty Fox, Criminal Department Head at (504) 736-8910 at the Jefferson Parish Courts. **All incidents that occur on the West Bank of Jefferson Parish. **Offenses related to traffic accidents and traffic tickets. Keep in mind, fines & costs may be paid at the sheriff’s office. Note: some infractions require a mandatory court appearance. No payments may be made if personal injury is involved. Call the judicial administrator at (504) 364-2800 for more information. If delinquent on payments, call the contempt department at (504) 364-2803. Second Parish Court has no jurisdiction over drug or prostitution related charges. So, all criminal cases require a court appearance. However, an attorney may file a Motion to Enroll and Plead Not Guilty before the arraignment date in lieu of appearance. For additional information, please contact the information department of the 2nd Parish Court clerk’s office, at (504) 364-2929.